Emotional Intelligence is today’s buzz word. After reading this book the reader will be able to pick a person’s emotional style within 90 seconds and use practical tools to engage emotionally and influence conversations. 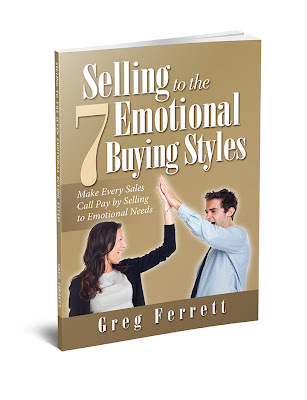 While widely applicable, in this book I provide simple everyday tools to use emotion to close that important sale. In business every sale is the result of two human beings sitting down and agreeing to move forward with a joint solution. Your client engages you to deliver a business result because they trust you to deliver on your word. In this book I deliver the practical tools to make this real and deliver real commercial relationships which are honest, sincere, of value and meaning to both parties. Like me I am sure you find this fresh take on Emotional Intelligence of interest.